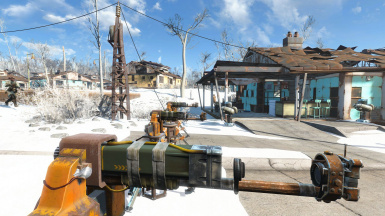 Adds several new types of turrets for more settlement defense variety. Cryo and Flamer turrets changed to custom projectiles, which should hopefully lead to an increase in effectiveness (unfortunately, I can't fix AI stupidity). Bumped double-barrel shotgun range up a tiiiiny bit to bring it in-line with the new flamer and cryo ranges. Reorganized the order the turrets appear in the build menu to hopefully make it easier to navigate. The new order is: pipe, shotgun/LMG/sniper, cannon, minigun/gatling/chaingun, cryo/flamer, grenade launcher/gamma gun, laser, heavy laser, assault laser, plasma, assault plasma, gauss/railway, heavy assault laser/cryobeam. Bubble turrets! Get your bubble turrets here! Added bubble versions of the following turrets: Minigun, Gatling, LMG, Sniper, Cryo, Flamer, Laser, Heavy Laser, Assault Laser, Heavy Assault Laser, Plasma, Assault Plasma, Gauss, Cryobeam. Bubble turrets require wireless power transmission (with zero drain due to game limitations), the same crafting materials as their standard variants, PLUS some additional materials to simulate an internal power source. These additional materials are the same as a medium generator and are as follows: 1 ceramic, 3 copper, 3 gears, 3 rubber, 7 steel, 3 screws. Twice that for the heavy assault laser. As of 0.5, perk requirements have been made OPTIONAL. Considering the material requirements for some of these, you're already limited enough by that. 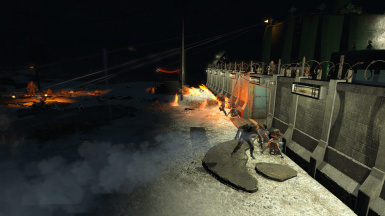 If you would like to keep the perk requirements, there is a "Hard Mode" patch in the files section that will restore them. Double-Barrel Shotgun Turret - Very effective at close range. Very high damage with a slow rate of fire. Will not pointlessly try to snipe like the vanilla shotgun turret. Light Machine Gun Turret - Sprays 5.56mm death at the enemy. Not the best accuracy, but still does its job. 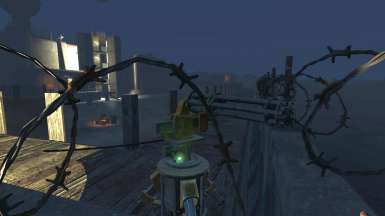 Sniper Turret - High accuracy with a low rate of fire, it will generally hit what it aims at. Pipe Pistol Turret - The bottom of the barrel. It's weak, it's inaccurate, it's the pipe pistol! 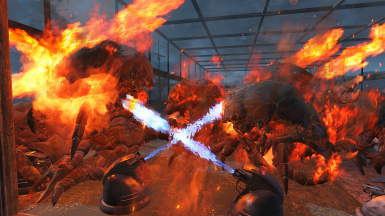 This will probably make a radroach think twice, if radroaches are capable of such things. Pipe Rifle Turret - Increase the barrel length a bit and you get the pipe right! More accurate than the pistol. Pipe "Sniper" Turret - But wait, there's more! Using a little copper, you can throw together a "sniper" barrel. The power is nothing to write home about, but it can usually put rounds on target. Pipe SMG Turret - Alternatively, you could use some adhesive instead and go the opposite direction. Put out more bullets and maybe one will connect? 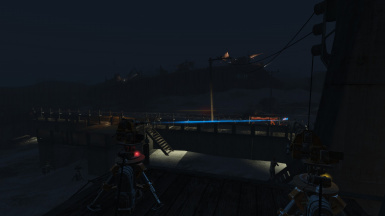 Significantly increased accuracy of Railway, Gauss, and Assault turrets. Moderately increased accuracy of Minigun, Cannon and Gamma turrets. 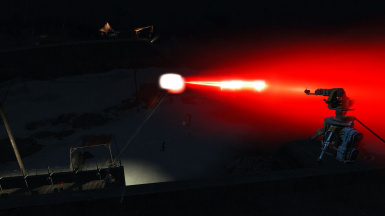 Slightly increased accuracy of Cryobeam and Heavy Assault Laser turrets. Added Gatling Turret - basically a .50 version of the minigun with higher damage and slower firing rate. Requires Gun Nut 4 & Heavy Gunner 1. Added Chaingun Turret - Fires high-explosive rounds, making it a good choice against clusters of weaker enemies. Requires Gun Nut 4 & Heavy Gunner 2. Uses extra oil for crafting due to lack of an existing comparable round. 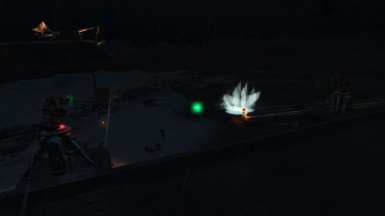 Added Automatic Grenade Launchers. Good for area-suppression and comes in several varieties. Perk and crafting requirements vary by type (see mod description for full list). Added standard and blue plasma turrets, functioning similar to the Gatling Turret. 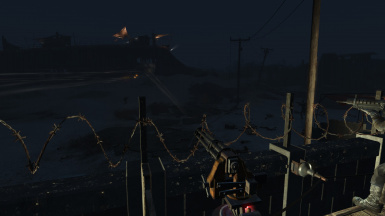 Added versions of the minigun and gatling turrets using the vanilla MG model. 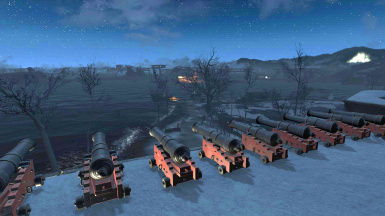 Increased range of both cannon turrets from 15000 to 25000. This needs testing because the AI is unreliable at the best of times, so I'm not sure if this makes any difference. Added cryobeam turret. As the name suggests, it fires a cryo beam that has a chance to freeze and/or knock enemies down on impact. It deals low damage compared to other turrets but the small splash radius makes it great for crowd-control. Based on a suggestion from chuckdm. 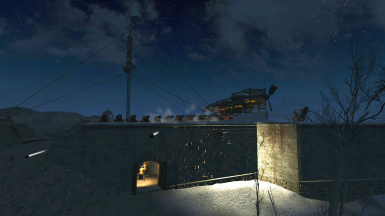 Fixed firing sounds for cannon and cryo turrets. Cannon emplacements get an extra special sound that I hope everyone will enjoy. Doubled the firing speed for the minigun turret and boosted damage by 2. They should be a bit more effective now. Doubled turret HP (except for the blue versions of the vanilla laser turrets) from 100 to 200. 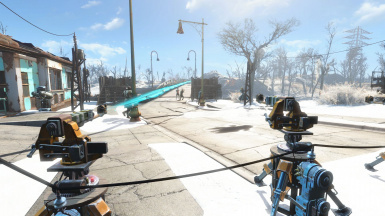 Cryo turret perk requirements changed to SCIENCE! 3 and nothing else. Added blue (Institute) versions of vanilla Laser and Heavy Laser turrets. Stats and materials are identical to their vanilla versions. Added assault plasma turret identical to the assault laser turrets, except shooting glorious plasma projectiles at high velocity. 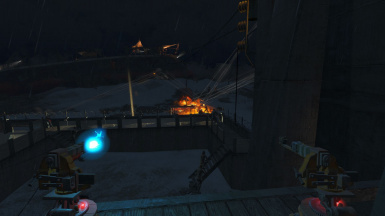 Also includes a blue version using the alien blaster projectile model. Requires SCIENCE! 4. 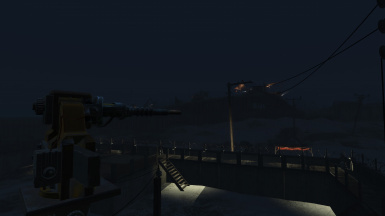 Added heavy assault laser turret AKA Liberty Prime laser. Firing even slower than the standard assault laser, it deals high damage and has a minor splash effect. Requires SCIENCE! 4, Nuclear Physicist 1, and increased amount of materials to build, including 2 fusion cores. Normalized base damage between flamer and cryo turrets. Cryo will still do more crit damage. Modifications, Overhauls, Additions, & Rebalances Turrets! I was never happy with the lack of variety in vanilla turret choices. Machinegun turrets are fairly weak by themselves and missile turrets are annoying when built en masse. Laser turrets are nice but again lack in variety. I started out with just the minigun turret and thought "Hey, this is kind of cool, what else can I add?" Quite a few, as it turns out! AS OF 0.5, PERK REQUIREMENTS MOVED TO AN OPTIONAL FILE. BUBBLE TURRETS ADDED IN 1.0! Automatic Grenade Launcher - Uses fertilizer and extra oil as "ammo". Automatic Incendiary Grenade Launcher - Uses extra oil as "ammo". Automatic Plasma Grenade Launcher - Uses nuclear material as "ammo". Gauss turrets and assault lasers/plasma are heavy hitters but fire slowly. 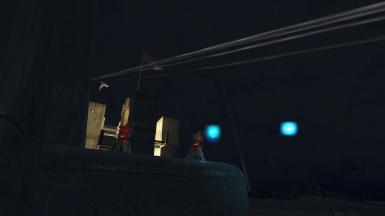 Cannon turrets are also slow but due to their arc can hit targets slightly over their line-of-sight. Flamer and Cryo turrets are obviously close-range. Everything else will engage at fairly long ranges but their actual effectiveness at that range may vary. Most turret types requires 5 power and provide 16 defense rating, except for the heavy assault laser which requires 10 power. 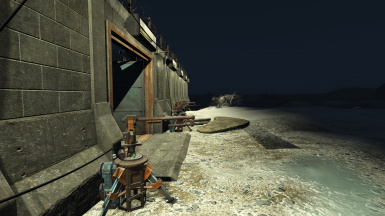 You will need a small amount of ammo related to each turret in order to build (cannonballs for the cannon, railroad spikes for the railway turrets, etc) in addition to normal components. 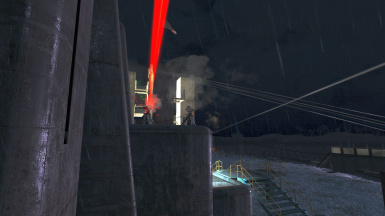 Heavy assault lasers also require 2 fusion cores. Gamma ray turrets function just like the gamma gun. Good for killing raiders, not so good for killing super mutants. Despite the Heavy Assault Laser using same laser and impact effects of the Liberty Prime laser, the stats themselves are custom. I did this primarily to prevent them from melting behemoths in a single hit. That being said, they can still do a world of hurt. 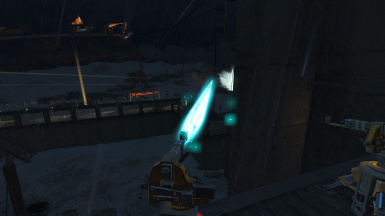 The Cryobeam Turret a chance to freeze and/or knock enemies down on impact. It deals low damage compared to other turrets but the small splash radius makes it great for crowd-control. Based on a suggestion from chuckdm. 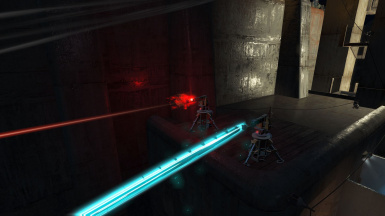 The Chaingun Turret fires a high-explosive round that is very effective against clusters of weaker enemies. Automatic Grenade Launchers have 3 different types: high-explosive, incendiary, and plasma. 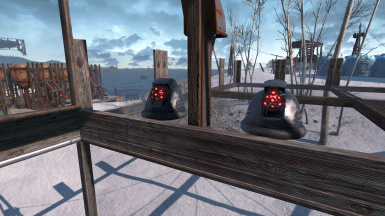 The turret AI doesn't know the meaning of "friendly fire" so be careful with these! 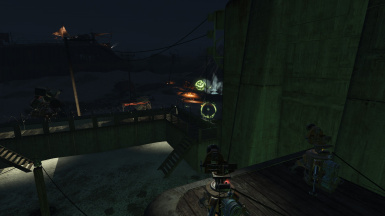 Double-Barrel Shotgun Turrets are extremely effective at close range, and unlike the vanilla shotgun turret, will not attempt to snipe enemies. Sniper turrets are slow, accurate, and decently powerful. 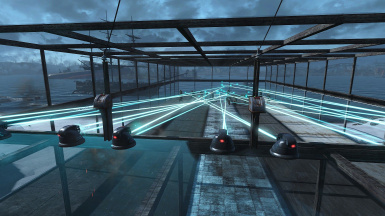 Pipe turrets are cheap and weak but can easily be built en masse and only require wireless power. 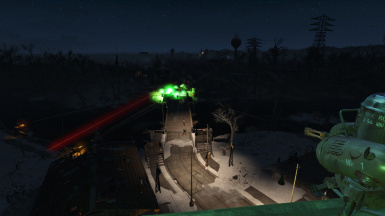 This modifies exactly zero existing content so there should be no conflicts with other mods. You can find them all in the same defense category as the vanilla turrets. Unable to place turrets on some game-world objects (this seems to be an issue with new objects in general). Put down a floor first if need be. Gauss turret uses plasma sniper barrel due to the way the gauss rifle model handles barrels. Cannon emplacements do not visibly rotate or have proper muzzle locations. They still have a full firing arc, however. Minigun turret lacks ammo can. Minigun barrel does not rotate. Difficult to place turrets close together. Use 'tcl' in console to help. Is it balanced? Well, that depends on how you look at balance. 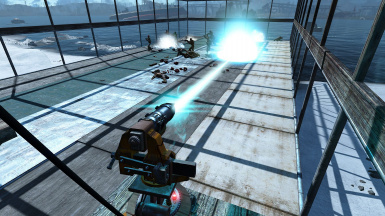 5 power is 2.5x higher than the vanlila laser turrets and they don't do insane levels of damage. If anything, a few are probably underpowered for their upkeep and will be tweaked as needed. Building 50 of any turret is going to make things pointless, whether they're machinegun turrets or miniguns. Pipe Rifle Turret - Increase the barrel length a bit and you get the pipe rifle! More accurate than the pistol. Fixed bubble versions of heavy assault laser and cryobeam using the wrong weapon. Whoops.